The other day someone told us about a company we should buy from. They manufacture something that we need all the time at PinPoint. We wanted to know about the firm. Much to our surprise, it was almost in our backyard. But we didn’t know about them in spite of the fact that we regularly search for better services and products in that sector. In fact, I know we’ve Googled search and looked in directories for a company just like them. And we’ve never heard of this company! Everyone likes to be found. Especially on Google (or Yahoo, Bing, etc.) — it’s cheap and where most people look. The average seeker doesn’t go past the second page of search results. So it’s imperative to get high on the organic (non-paid) results. Or the alternative is to pay for the placement at the top or to the right. And that can get expensive. 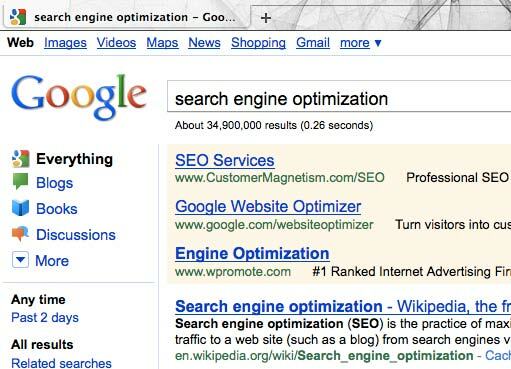 This is called Search Engine Optimization (SEO). Content that changes. Not sure if I need to explain this, but when the spiders check your site they look to see if the information changes. They believe (rightly so) that if you’re engaging an audience, you will give them new content regularly. Blogs and social media feeds will do this. But remember to have an easy way to change the actual page contents too! Meta-tags that are used. Most people know that you can “hide” words on a page. These words tell the spiders what you’re really good at — what the benefits are on your site. Surprisingly, there’s a disconnect between what is in those words and the content on a page. They now compare the two and see if you genuinely have the pertinent information you put in the meta-tags. Again, this is great for those searching! And it forces websites to be authentic in content. Other Websites refer to your website. If the search engines want to point people to your site via an organic (non-paid) search, they want to make sure others like you too. So as they search the web, they look for links to your site. The more that others say your site has good content (based on the volume of links that point to your site), the more they want to say it too! This isn’t easy to do, but request associations, groups, members, tourist websites to list and link to you. The more the better! Is this everything to SEO? No. In fact, my programmers (who incorporate good SEO foundations into every site we construct) are probably going to “share” some more with me when they read this. I’ll be sure to pass them along. But if you work hard about getting the content to follow the 3 steps above, you’re well on the way! Let me know if you have any questions!